No other place I’d rather spend my Friday morning than at FYidoctors in Woodstock. No seriously, because without them I would still be getting headaches + eyestrain from the hours spent on the computer everyday. I’ve been saying to my husband for the past year that I need to make an eye appointment and well… better late than never, right? In addition to getting my eye exam and picking out the most gorgeous pair of frames [stay tuned y’all are going to die] Lincoln also had his first comprehensive eye exam. 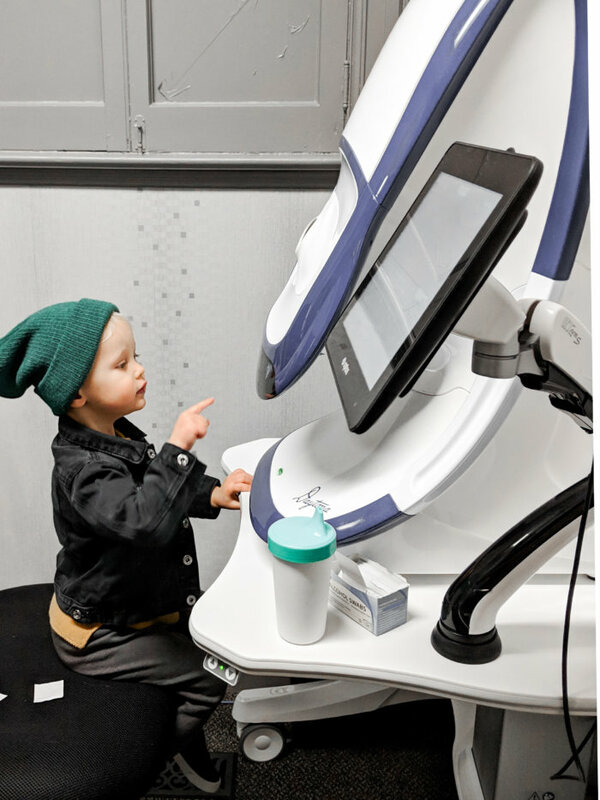 When I was contacted by FYidoctors to check out their Woodstock clinic and book an eye exam for both Lincoln and I, I had questioned his age and wondered if he was too young. However, upon a little research I learned that it’s recommended to start bringing your littles in as early as 6 months old and then continue on an annual basis, so I guess I was technically late to the game LOL #firstmomproblems. I’ll be honest Lincoln wasn’t overly cooperative during his comprehensive eye exam but Dr. Matt Michniewicz did a wonderful job while he was trying to get up and down the chair eighteen hundred times. After a cookie + distraction from a couple finger puppets he was able to perform all 4 tests. I was happy to hear that besides Lincoln being a little far sighted, which is very normal for a 2 year old, he had zero concerns. I couldn’t leave the office without grabbing something for Lincoln [it’s like leaving Disney World without a pair of Mickey Mouse ears… you just C A N T] and because he doesn’t require prescription glasses, I went with the cutest pair of sunnies that have UV protection. 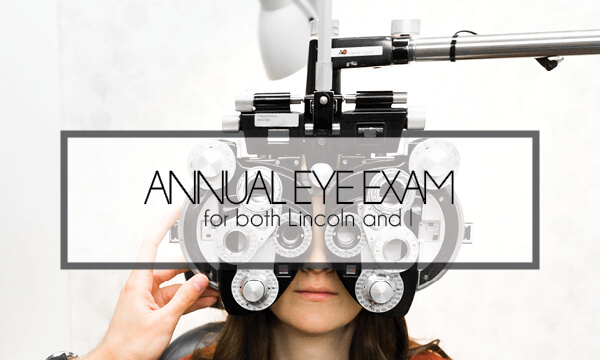 My eye exam was a little different than Lincoln’s, I didn’t try and grab all the equipment, I didn’t need a cookie to stay still however I did require a prescription. Nothing crazy, I wasn’t blind as a bat, but I did find out that I had a slight astigmatism in my right eye. Dr.Matt Michniewicz was extremely informative during the entire exam and explained exactly what and why he was doing everything. Once I found out I needed glasses, he recommended that I go with the anti fatigue blue light lens coating due to the fact my job requires a lot of screen time. The colour difference between a regular lens and the blue light is barely noticeable however the benefits are great. Not only has blocking blue-violet light been shown to decrease the risk of tired eyes but also helps with premature aging and has the potential to aid the onset of some eye diseases. All I can say is SIGN ME UP! 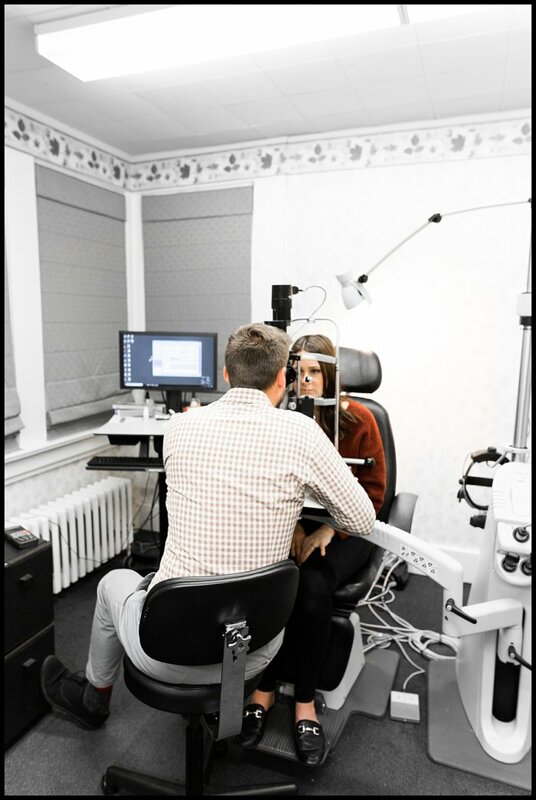 Another thing besides the blue light lens coating that sets FYidoctors apart from other clinics is the Optomap ultra-widefield retinal imaging device that is used during your pre-opt exam prior to meeting with the doctor. 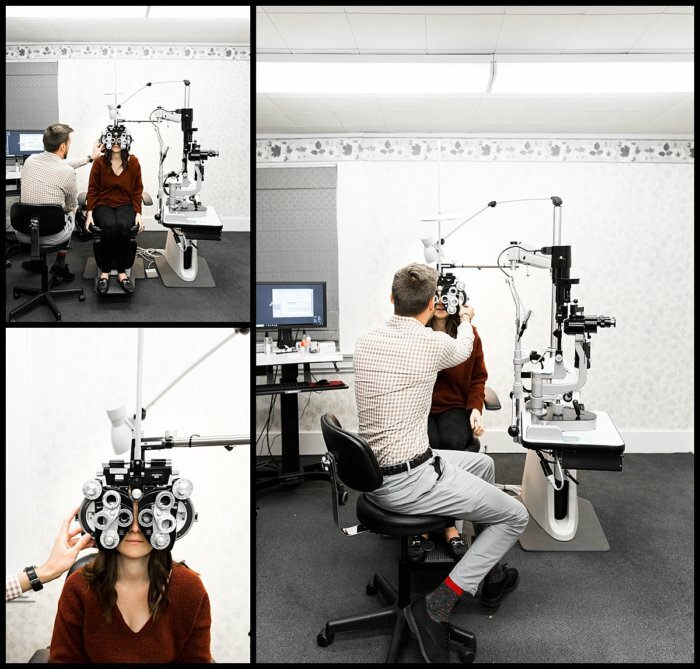 This device captures more than 80% of your retina in one image, compared to traditional methods that typically only reveal 10-45% of your retina at one time. 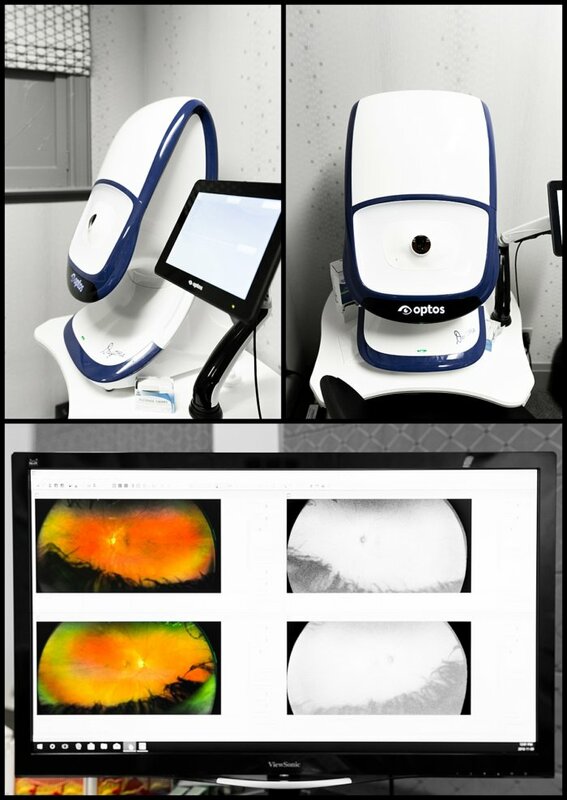 The Optomap ultra-widefield view enhances your eye doctor’s ability to detect even the earliest sign of disease that appears on your retina, for example [stoke, heart disease, hypertension and diabetes] … I should mention that the machine might look intimidating and the fact you stick your eye in this hole a little weird however the process only takes seconds to preform and isn’t painful. 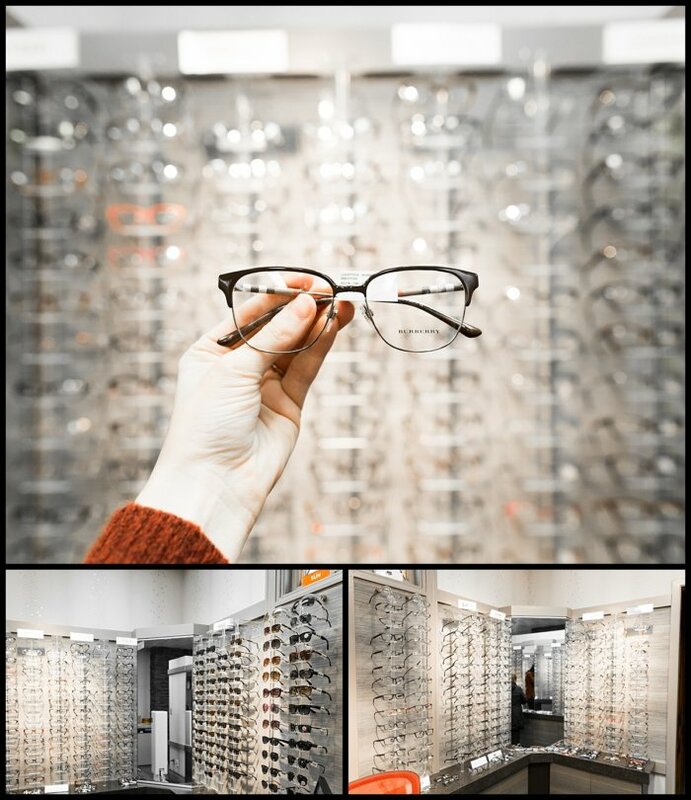 The frame selection at FYidoctors is phenomenal for both adult and children. They carry I went in thinking I wanted black full frames but after receiving help from one of the ladies at FYidoctors I left with brown + gold ones and couldn’t be happier with my decision.